Heavily altered by a coal mining operation, the landscape of Albert and Delvin Miller’s Avella farm drastically changed during the 1940s and 50s. 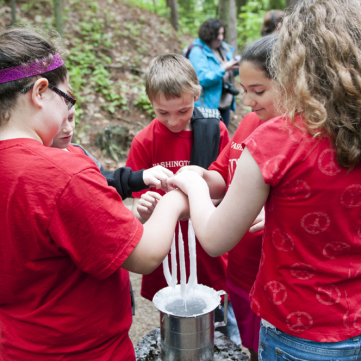 The Millers were determined to reclaim the land and restore it to a new place where youth groups could camp and learn about history and the natural environment. The Miller family began collecting examples of 19th century rural architecture, such as the Pine Bank Covered Bridge from neighboring Greene County, a barn slated for demolition on state game lands, and a log house constructed by their great-great-grandfather in 1800. 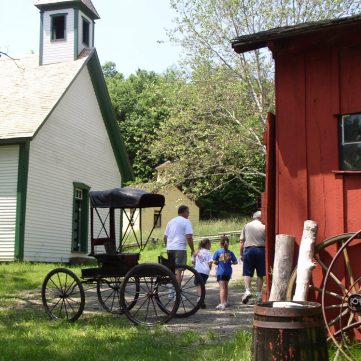 By 1969, the Meadowcroft Historic Village and its collection of 19th century artifacts and structures was ready to open to the public. 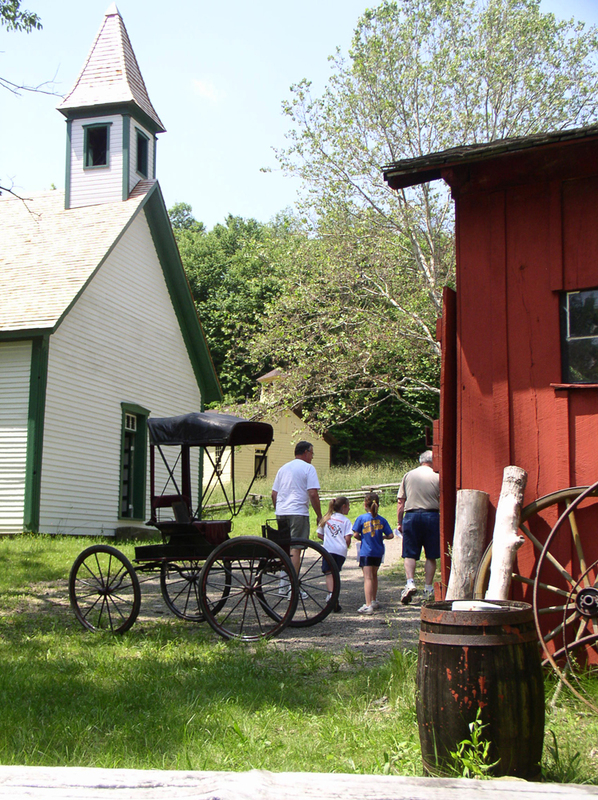 Today, visitors are amazed as they tour through the recreated Upper Ohio Valley Village, interact with various re-enactors, and enjoy living history demonstrations designed to show how Western Pennsylvanians once lived. 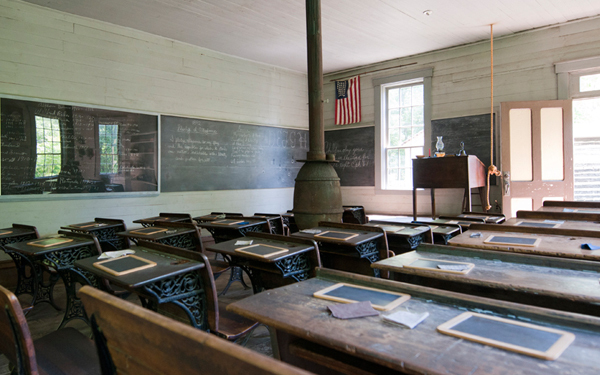 Get educated with a lesson in a one-room schoolhouse, experience a reassembled 1870s log church, watch a blacksmith forge red-hot iron, and step back in time at Meadowcroft’s Historic Village. 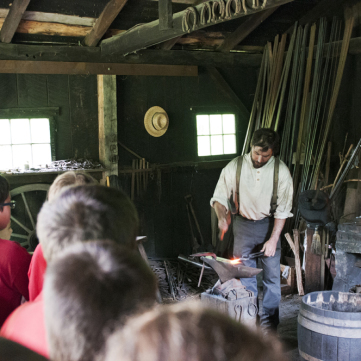 Watch this video to get an inside look at a blacksmithing demonstration at Meadowcroft Historic Village. 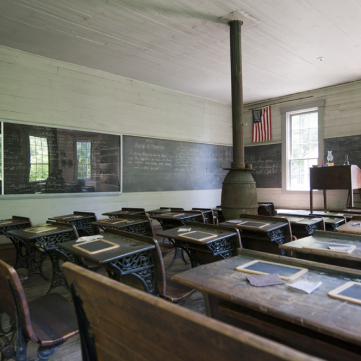 Visitors to Meadowcroft’s Historic Village can step inside a schoolhouse from 1834 and learn the similarities and differences of how teachers educated children in the 19th century compared to today’s schools. Transcript: What is a blacksmith? 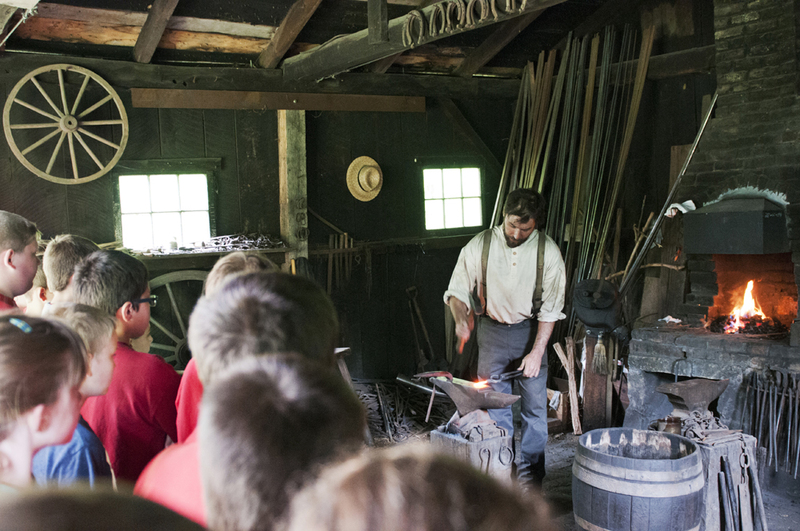 A blacksmith forges red-hot iron in his shop at Meadowcroft’s Historic Village. 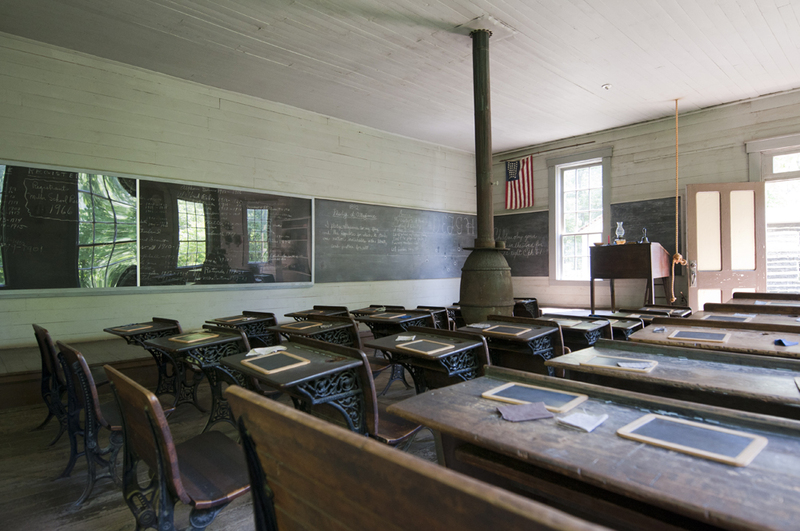 Visitors to Meadowcroft’s Historic Village can see an authentic 19th century schoolhouse with preserved chalkboards and classroom furniture. 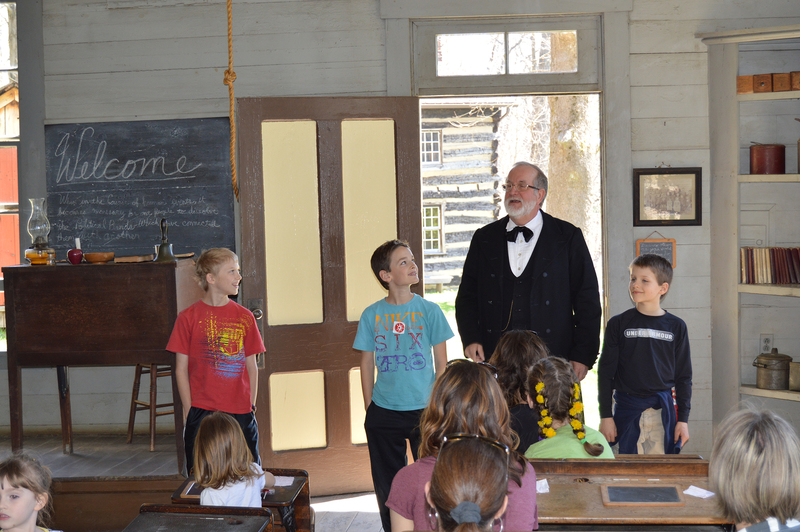 An interpreter inside Meadowcroft’s 19th century schoolhouse explains to visitors how lessons were taught to children during the 1800s. 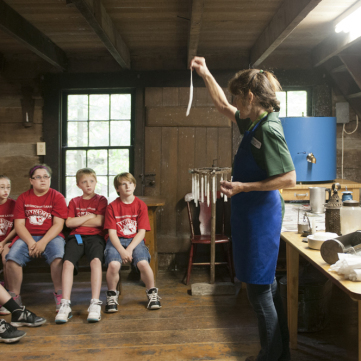 Meadowcroft Interpreter, Lisa Maust, teaches students about early American lighting in the King Log House during the Village Life educational program. 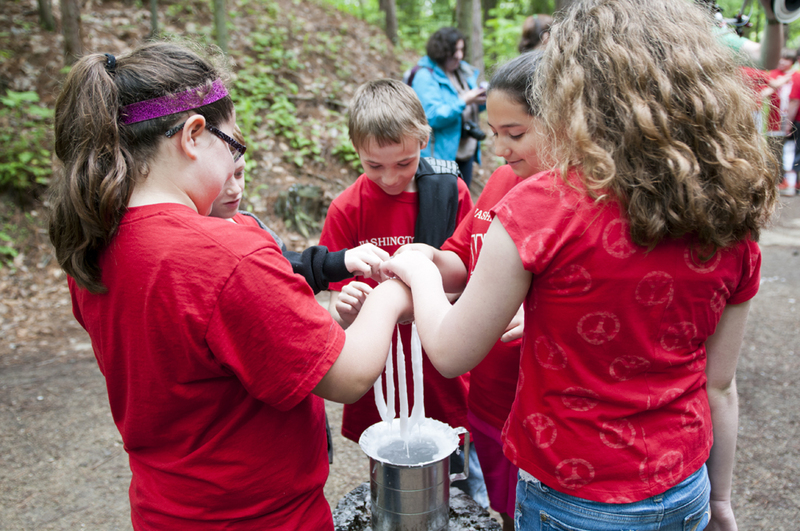 Students dip candles as they learn about early American lighting during the Village Life educational program in Meadowcroft’s 19th century village. 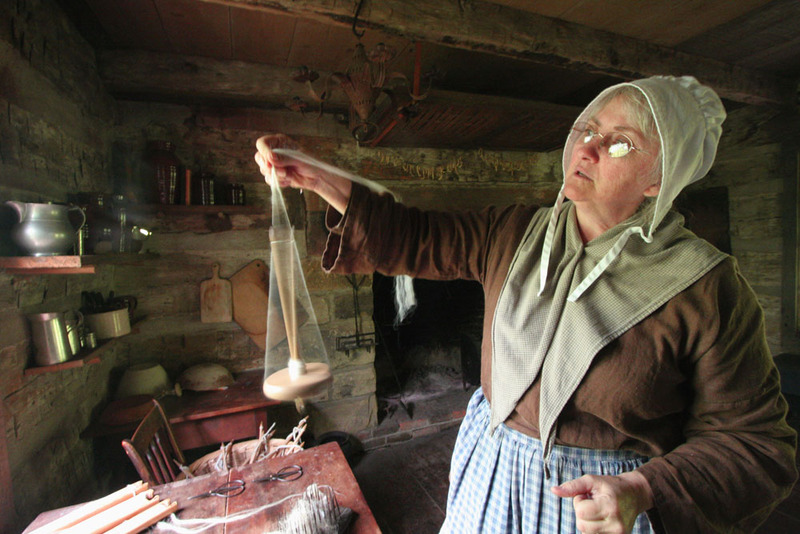 Meadowcroft interpreter, Beverly Cline, demonstrates the historic technique of spinning wool into yarn using a drop spindle. 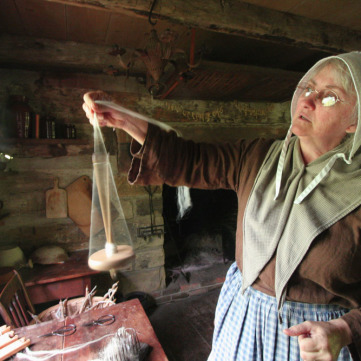 Meadowcroft interpreter, Beverly Cline, demonstrates the historic technique of spinning wool into yarn using a drop spindle. 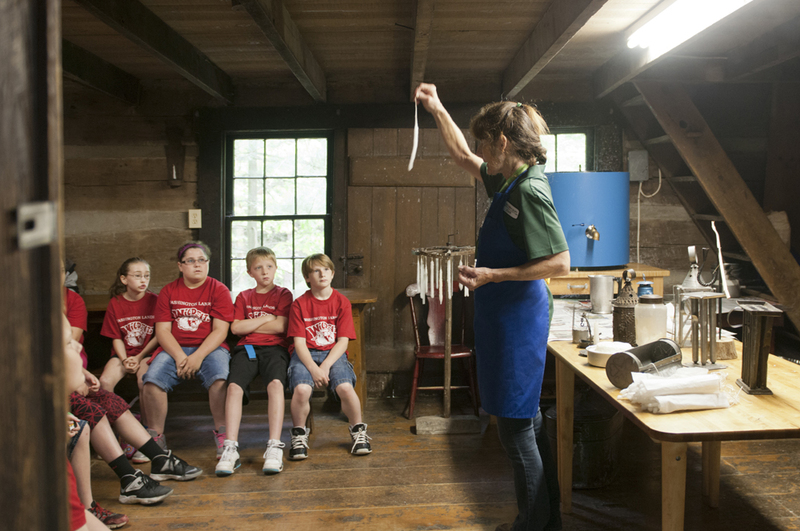 Families that did not have access to a spinning wheel could still spin wool for clothing using this simple, homemade device. 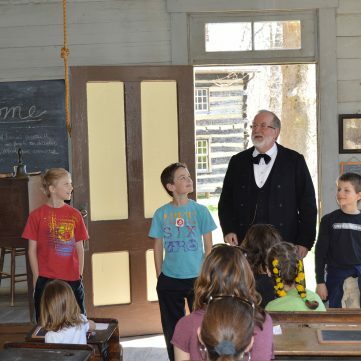 Visitors to Meadowcroft’s Historic Village can step back in time and walk through a carefully recreated 19th century Upper Ohio Valley town.